Description: Andy has assembled his roller coaster kit for maximum family fun. Tracks and supports in bright colors of red, orange, yellow and blue are put together according to Andy’s hand-drawn plans, with Rex and Jessie lending a hand. And to complete his creation, Andy picked up everyone’s favorite floppy-eared dachshund with a strrrrretch-ing slinky coil belly and dropped it on to the coaster track. Get ready to ride inside Slinky Dog’s coils! Slinky Dog Dash is inspired by the delightful pooch spinoff of Slinky, the 1950s American toy classic. 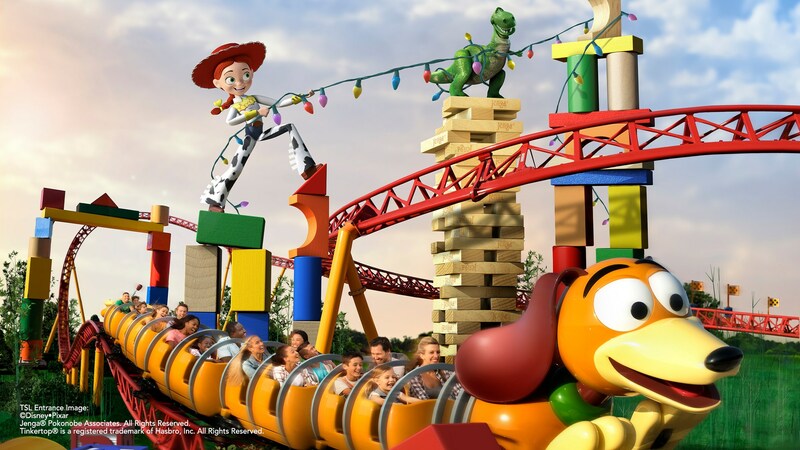 Riders of all ages will delight as Slinky Dog bends and twists his coils around curves, hills, bridges and drops in the Slinky-est coaster ever. Riders will zip around and above Toy Story Land, serving up panoramic views of all that the new land has to offer. 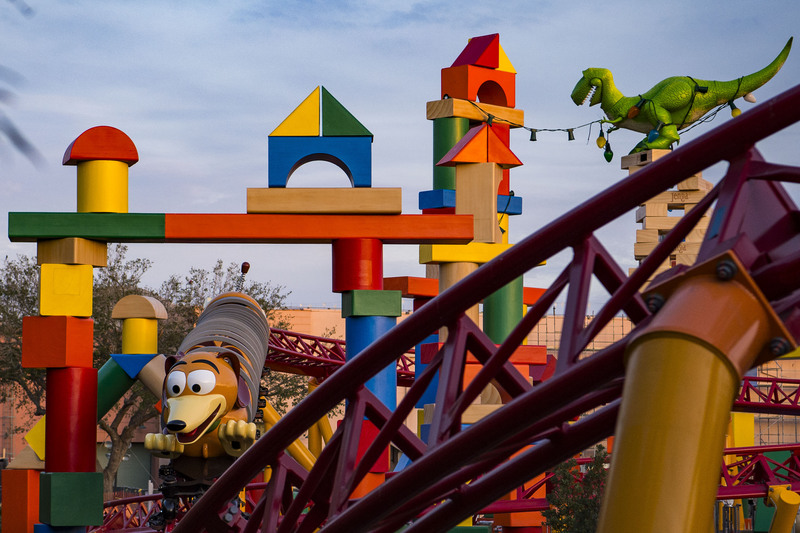 Andy’s colorful creation will stretch Slinky Dog and his coils to the max – from his head to his upturned tail – and be fun for the entire family.